The opening chapters of Genesis are easily some of the most hotly debated chapters in the Bible. But in our efforts to mine these passages for ammunition in the origins debate we can miss the main thrust of what is happening in the story. Chapters 1-9 of Genesis form the first two acts of the powerful story of the Bible of creation and redemption. Act 1 begins with the declaration that in the beginning God created the heavens and the earth. The earth is formless and barren, covered by deep waters of chaos. What follows next is the dramatic account of Yahweh overcoming chaos to create the world. But to flatten this down to whether this was done in seven days or in seven million years ignores what the narrative is trying to see. It is a story of God creating the world and the dwelling in it with His creation. The Bible’s story of creation is about God creating the world as a temple for Himself and establishing His kingdom in it. One of the last things that God does in His creative act is to put an image of Himself into the world – humans (Genesis 1:26-28). The ancient audience would have readily recognised this as kingdom language; when God placed humans in the world as His image-bearers it was a symbol of His rule over the kingdom. What this image entails is quite explicit in the text – to rule over creation. But this is command to rule is not justification for being environmentally abusive as some have tried to argue. Rather it is a command to be stewards who reflect God’s love and care into His created world. God invites humans into His creative work. And God declares it very good. Within this world God creates a garden for His image-bearers to dwell with Him in. Within in this garden humans are portrayed as being in right fellowship with God, creation, and each other. But this is not to last. Humans rebel against God and taste “the forbidden fruit”. Sin has entered the world. Now this story is up to interpretation. 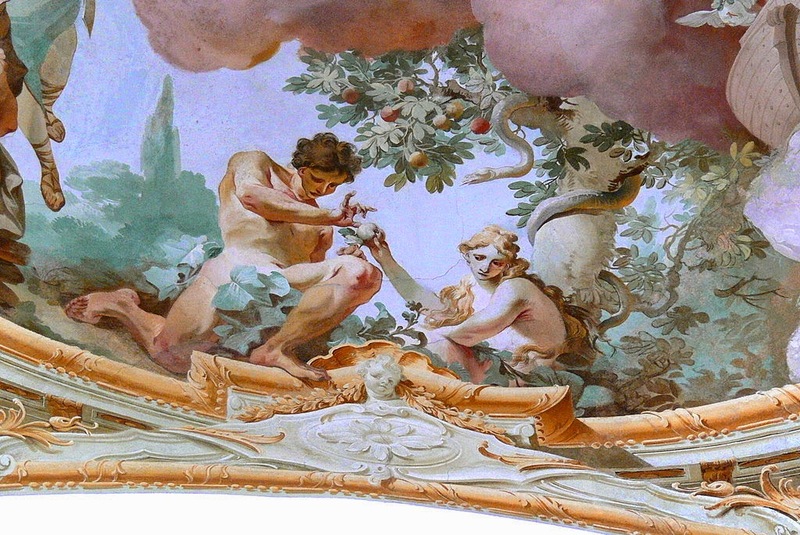 The popular Protestant view has been that Adam and Eve were immortal but lost their mortality when they ate of the tree of the knowledge of good and evil and were expelled from the garden as a consequence. But I also want to tell the interpretation of the fall as understood by the second-century theologians Theophilus of Antioch and Irenaeus, and adopted by the Eastern Orthodox Church, because it provides an interesting angle on the story. In this version the Eden story is not about a falling from an untainted state, rather it is a story of Adam and Eve’s naiveté and their loss of childlike innocence. They were never meant to stay in this state of naiveté, rather they were meant to learn to serve God and grow in wisdom and maturity. God’s command to stay away from the tree is a lesson on how to pursue knowledge on the path to spiritual maturity. There are many passages in the Old Testament scriptures which speak of obtaining wisdom and knowledge as a good thing. The issue is in how this wisdom is acquired. Proverbs portrays God as wanting to grow in wisdom gradually through Godly instruction and training because it gives life (2:16-19, 4:20-27, 8:32-26). Adam and Eve’s failure is in their hastiness to obtain knowledge when they were not yet ready spiritually to grasp it. Instead of growing in wisdom in the way God intended, they choose foolishness and death. When Adam and Eve choose not to fear God and keep His instructions they are cut off from the tree of life. Now I’m not here to argue for one interpretation of the other. I simply think it’s worth considering the nature of the fall from different angles. No matter which interpretation you take the message is clear - humans have rebelled against their maker and have abdicated their place in the creative process. They have severed their fellowship with God, they have ruined their relationships with each other, and they have ruined their relation with creation (Gen 3:14-19). As a result of their sin they are exiled from the garden where they had enjoyed a communion with God and are sent into the wilderness. And thus ends the second act of Scripture. Of course there is more to it than simply this. However rather than dealing with the full range of meanings here, it will be the subject of a post in my next series on Genesis 1 in its historical context. The following summary is adapted from Peter Enn’s summary in The Evolution of Adam. Although Irenaeus’ interpretation does avoid the problem of why Adam and Eve were held accountable for a moral failure when they supposedly had no knowledge of right and wrong.